Our Private Kindergarten is a full day program that operates during the school year. The curriculum was created by using a combination of requirements from the Groton, New London, Waterford and East Lyme Public Schools. In addition to critical subjects such as reading, writing, phonics and mathematics, we provide supplemental education in the following areas: science and health, social studies, Spanish, language and culture, music, art, computer and physical education. 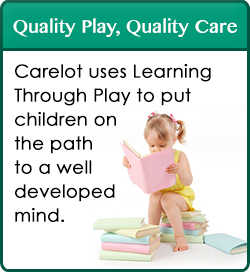 Students enrolled in our enrichment program (those attending public school kindergartens) will receive the above curriculum actives during the times they attend our Carelot Kindergarten Program.